Note: this article is not and must not be construed as investment advice. It is analysis based purely on economic theory and empirical evidence. There is an underlying stock of approximately 170,000 tonnes, increasing at about 3,000 tonnes a year. It is impossible to define how much of the total above-ground stock is monetary gold, not least because jewellery in Asia is bought as a store of monetary wealth and is used as collateral against loans. However, if we are to classify Asian jewellery as non-monetary gold, then monetary gold in the form of bars and coin is thought by many experts to represent between thirty and forty per cent of the total. Assuming a median estimate of 35%, this is 60,000 tonnes, of which 33,760 tonnes is stated to be in national reserves. This leaves an estimated 26,240 tonnes of investment gold in public hands, worth $1.1 trillion. Much of this can be regarded as being in long-term storage. For market purposes, the physical market on its own is relatively illiquid. 1. Evidence of a looming recession becomes increasingly apparent. Central banks respond in their time-honoured way, by easing monetary policy and replacing stalling credit creation with extra base money. Government bond prices rise as they are seen to be the least risky investment in an uncertain economic outlook, and equities rally after an initial sell-off. At the same time, lending bankers observe increasing risk in commercial lending and respond by quietly withdrawing loan facilities from all but the largest manufacturers of goods and producers of services. This appears to approximate to the current situation. 2. With unsold inventory increasing, industrial production is reduced, and rising numbers of workers are laid off. Analysts revise their forecasts for corporate profits downwards, and the number of corporate failures increases. Bond dealers adjust their expectations of government borrowing, and quantitative easing is reintroduced by central banks to ensure government bonds can be issued at suppressed interest rates. At this stage, investors face a worrying combination of falling equity prices reflecting a deteriorating economic outlook, combined with unexpected monetary inflation in the form of QE. 3. Foreigners liquidate US investments in order to sell dollars (the reserve currency – this appears to have started early) and repatriate funds to support their base operations. Bond dealers facing a glut of government bond issues expect bond yields to continue to rise. Stock markets slide, and with it is a growing realisation that the recession is turning into a wealth-destroying slump. 4. As the markets’ demands for increased time-preference undermine all debtors’ finances, investors increasingly avoid bonds and equities, abandoning hope of any recovery in financial asset prices. 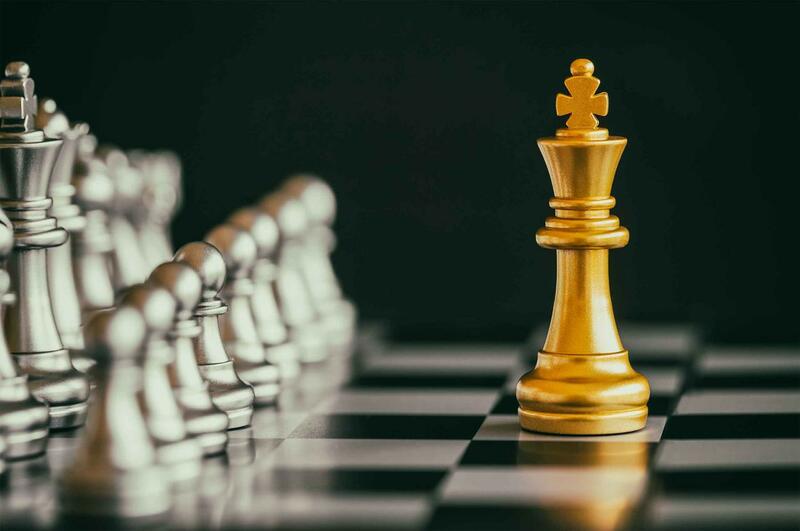 Hedging into gold mines and gold ETFs gathers pace, and the purchasing power of gold continues to rise measured against both fiat currencies and against the commodity and energy complex. 5. Having fallen behind the time-preference demanded by markets, central banks are reluctantly forced to raise overnight interest rates to protect the currency and bring price inflation under control. They have no choice, but this is seen as capitulation by investors. Residential mortgage costs increase sharply, driving consumers into negative equity as property prices suffer from forced selling. In countries where the home has become the middle class’s principal asset, the effect on consumer spending is devastating. Governments end up bailing-out or bailing-in lenders while trying to moderate mortgage interest costs. 6. 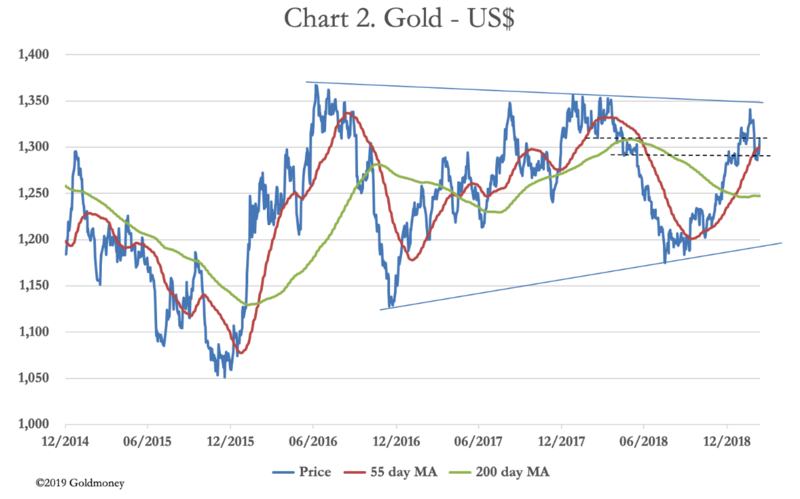 By now, the gold price measured in unbacked currency is beginning to discount a continuing acceleration in monetary inflation. 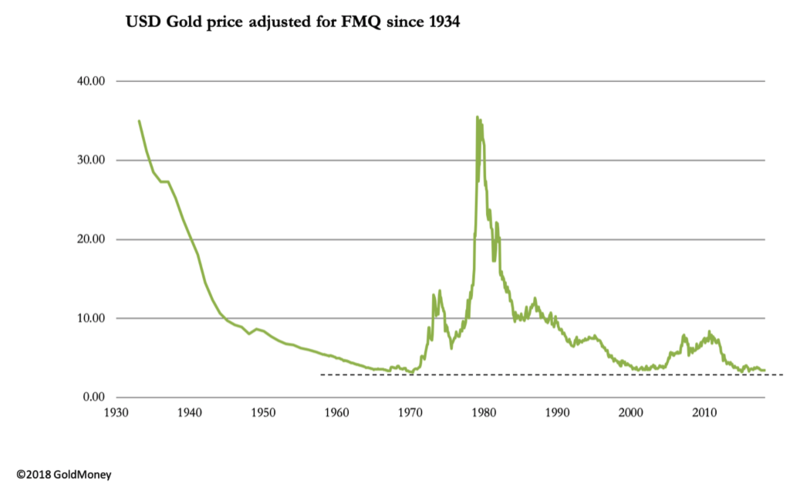 The gold price will be at multiples of current levels in all currencies, including the dollar. 7. The sense of crisis escalates and mounting bad debts at the banks raise the prospect of a systemic banking crisis. Despite depositor protection schemes, depositors begin to take steps to reduce their bank balances. With the facility to encash bank deposits being strictly limited, alternatives to deposits in insolvent banks will be in high demand. These will be gold, silver and other perceived stores of value. Cryptocurrencies could come into their own as an escape route from holding deposits in the banking system. 8. Those who attempt to escape systemic risk by exchanging bank balances for alternatives are simply passing bank deposits to the vendors. This is fine, so long as vendors are happy to accept the systemic risk. If not, then prices of alternative stores of value must rise to compensate. A classic flight out of money into anything else develops and is made more urgent by the lack of a cash alternative. 9. 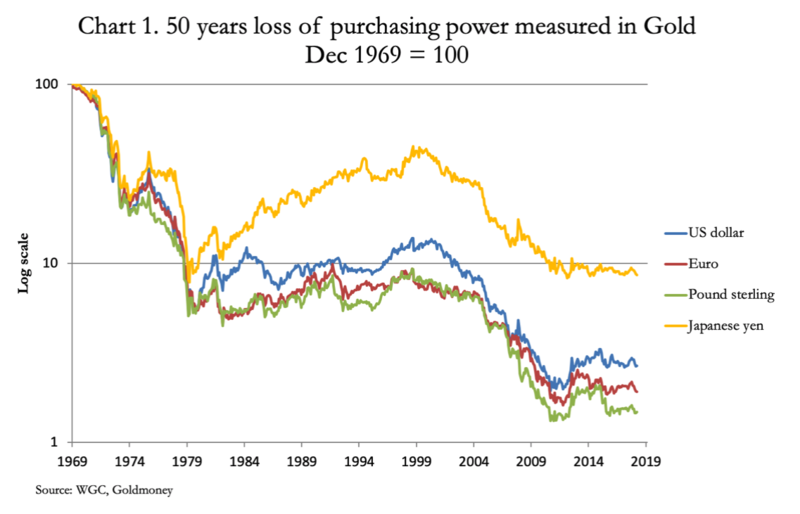 The currency rapidly loses purchasing power, and it will be moving into its end-of-life. Government bonds will have lost nearly all their value, measured in gold, and governments will still be accelerating inflationary financing, because bond financing without the central bank buying them will not be possible.